January and February are traditionally the months we see a peak in job seeking activity. Perhaps a consequence of all those new year’s resolutions for self improvement? The national average job tenure across all age groups is now 3.3 years. Today’s job market is a far cry from the days of a ‘job for life’. 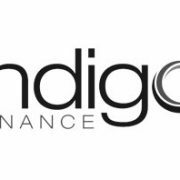 http://www.indigofinance.com.au/wp-content/uploads/2017/03/default-v2.jpg 198 300 wsadmin http://www.indigofinance.com.au/wp-content/uploads/2017/01/indigo-finance-logo.png wsadmin2016-02-09 02:19:512017-03-09 02:35:14Will the Bank Love Your New Job as Much as You Do?